Do you love going to the beach? 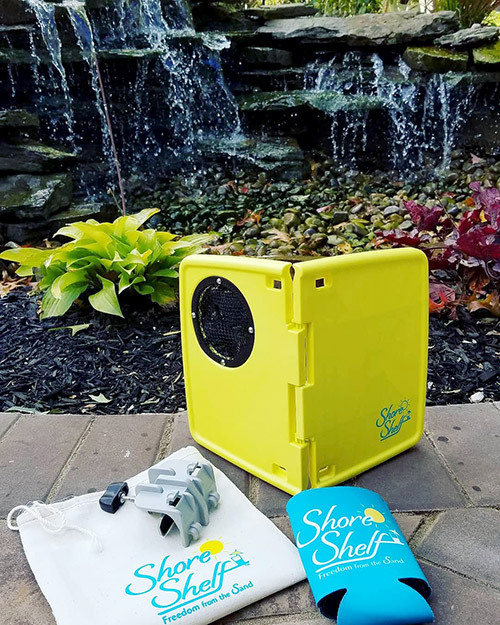 Shore Shelf, the newest beach accessory, elevates your beach, pool, boating or outdoor experience by keeping your essentials (drink, phone, book, snack, sunglasses) in one place, within reach and off the ground. Unlike chairs that have the tray permanently attached, Shore Shelf is the only tray that you can travel with to any destination. Shore Shelf Giveaway —> ENTER TO WIN! I would use it at the beach. I will start out using it in our backyard and then go from there! I will definitely be using it at the beach. I think the store shelf is genius.